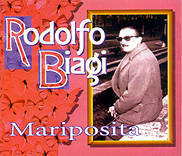 This Mexican label reissued the CDs of the Music Hall label, although its not at all clear whether they have acquired the rights. 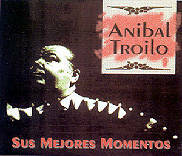 Music Hall and TK which contains the works of artists like Troilo and Di Sarli when they left Odeón and Victor respectively in 1950, following these companies' destruction of their archives. 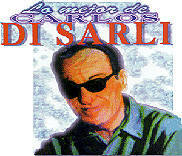 Between Nov-51 and Apr-53 Di Sarli cut 84 tracks on the Music Hall label. Although not as distilled as the versions cut on RCA Victor in 1954-57, these are still some great interpretations. 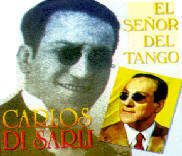 It was also the last time that Di Sarli would record half of the tracks presented here, including the instrumentals Pimienta and Mi refugio. Strongly recommended. 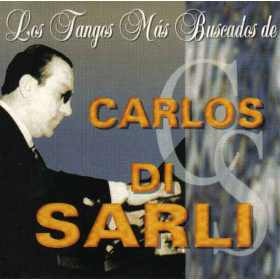 With only 14 tracks, four of which are duplicated on the other Di Sarli CD on Orfeón, this second disc may not be as good value as the first but it's still worth getting for these great instrumentals. 12 tracks, never re-released on LP since their original publication in the 1950s. This made this CD very popular, and thus it sold out quickly. 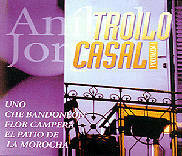 re-released digitally in 2003 by Selasco. 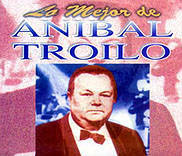 In the early 1950s Troilo began to experiment. Piazzolla was the arranger, and it shows. Particularly fascinating are the orchestra's recordings of Piazzolla's own compositions, Triunfal and Contratiempo - a canon he would later repudiate. 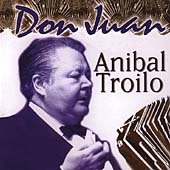 Meanwhile, the version of Ojos Negros is definitely the best Troilo, or anyone for that matter ever recorded, far surpassing his concertised 1970 interpretation, and whilst the versions of Quejas de Bandoneón and La Bordona sound better in their 1957-1959 recordings on Odeón (available on EMI's From Argentina to the World series) these are the most danceable versions. 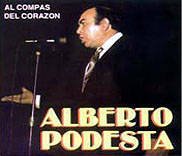 I'd say the same of this recording of La Cumparsita as well. Piazzolla's arrangements of El Pollo Ricardo and El Irresistible are simply fabulous, and just go to show what he could do when shackled to a dance orchestra. This is audibly an LP transfer, and it shows not just in the fidelity, which is good to fair, but also in the occasional wobble in pitch which spoils the opening chord of Chiqué. If you just want the best fidelity, don't buy this CD. But, if you want to hear what Troilo's best work as a dance orchestra, in an extremely innovative period: buy this astonishing and neglected disc. Essential for lovers of the genre. As a final note, for the geeks out there: pop this disc into a computer with the Windows Media Player and watch it acquire the track titles. Look at the composers. You will see that the data provider has not realised that Ed. is short for Editorial, i.e. it indicates the publisher, and therefore all the tracks are co-composed by someone called Ed, particularly the famous Ed. Ricordi! 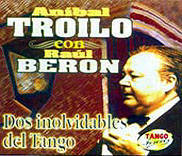 Troilo, the best orchestra for singers, and Berón, one of the greatest singers of the 40s, was always going to be a special combination, and its a shame they didn't get together until 1951. Their interpretation of Malena and the vals Un momento are very special, but don't expect these recordings to have the fidelity of those Troilo made just a few years on Odeón - they don't. Another ungenerous lp transfer. 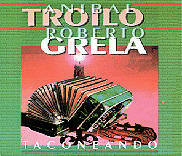 Goyeneche's performance of Bandoneón Arrabalero is wonderful although definitely not for dancing. Piazzolla's Patio Mío is very worn, but the transfer of Orlando Goñi is wonderful. If you've ever bought a CD for a single track, this was one of those moments. Now superceded by Archivo TK. A too even handed review of these recordings, and just 10 tracks, none of which is not repeated from their other discs. Mercifully already deleted. 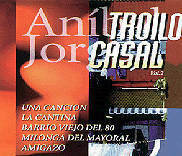 The majority of the tracks on this CD appear on others in the Orfeón catalogue, but you'll certainly enjoy the arrangement of El Monito. 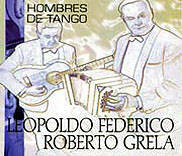 Also interesting is the innovative Viejo baldió, featuring the guitar of (we presume) Roberto Grela. All 12 tracks recorded on TK between 1953-1955 (despite what it says on the album cover). 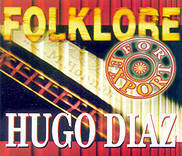 Yes, this really is an album by the real Hugo Díaz, by which we mean the Argentine chromatic harmonica player rather than the Uruguayian bandoneonista. Late Biagi with a thin sound that is drifting towards De Angelis (!) and just 12 tracks, why would you want this - it's a mystery to me!